It looks like the rumors swirling around the newswire over the past few days are true -Microsoft Corp. on Friday announced a plan that would allow Bungie Studios, developer of the "Halo" franchise, to become an independent game developer. According to the terms of the contract, Microsoft will retain an equity interest in Bungie, while at the same time allowing Bungie to go free. Both companies will also maintain the original publishing agreement, which states that Microsoft will continue to own the "Halo" intellectual property as well as other future properties developed by Bungie. 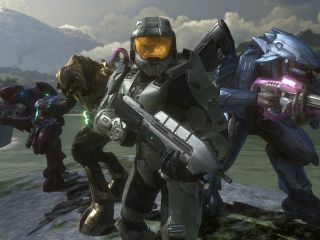 Microsoft will still own "Halo"
"While we are supporting Bungie's desire to return to its independent roots, we will continue to invest in our 'Halo' entertainment property with Bungie and other partners, such as Peter Jackson, on a new interactive series set in the 'Halo' universe," said Shane Kim, corporate vice president of Microsoft Game Studios. "We look forward to great success with Bungie as our long-term relationship continues to evolve through 'Halo'-related titles and new IP created by Bungie." In a press release issued by Microsoft, Bungie Studios chief Harold Ryan said the move will enable the game developer to expand in its mission to "create world-class games," but said his team "will continue to develop with our primary focus on Microsoft platforms." "[We] greatly value our mutually prosperous relationship with our publisher, Microsoft Game Studios," he said, "and we look forward to continuing that affiliation through 'Halo' and beyond." Microsoft acquired Bungie back in 2000 and as rumors were swirling about Bungie's desire to become independent, some were hoping the company would start developing games for the Mac, Playstation 3 and Wii. Interestingly enough, Bungie originally started as a Mac-only game developer in 1991 under the name Bungie Software Products Corporation. For nine years it produced titles for the Mac until Microsoft bought a controlling interest in the company and put an end to Mac development.